As of now, everybody’s bracket is still alive. But whether brackets will still be alive Monday depends on how well people pick the upsets. 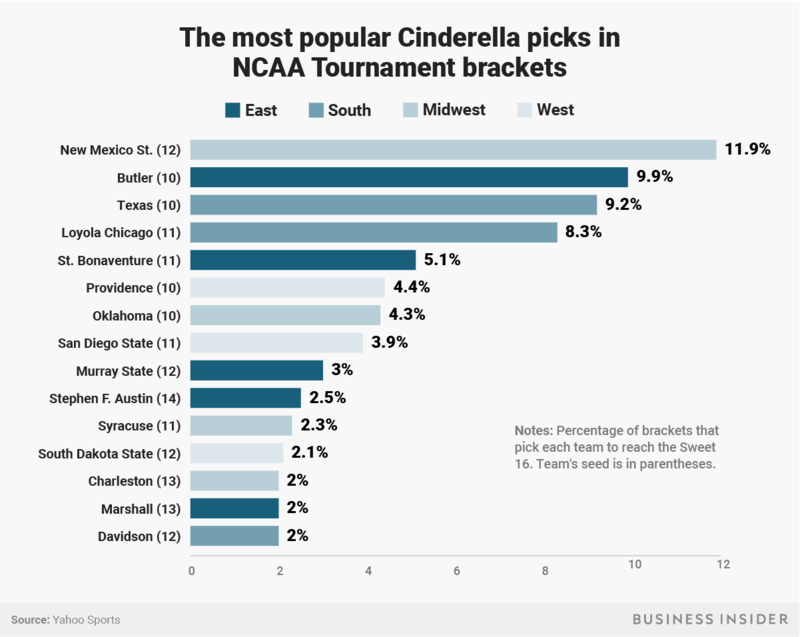 Using data from Yahoo’s “Tourney Pick’em” game, we gathered the 15 teams seeded 10th or lower that were the most popular picks to win at least two games. Each of these teams has been chosen to reach at least the Sweet 16 in 2% or more of the brackets.